Beautiful card great way to start the month. Last edited by jchcollins; 04-01-2019 at 02:35 PM. I guess this will have to do until I can upgrade...….Happy April 1st! That centering isn't bad at all! 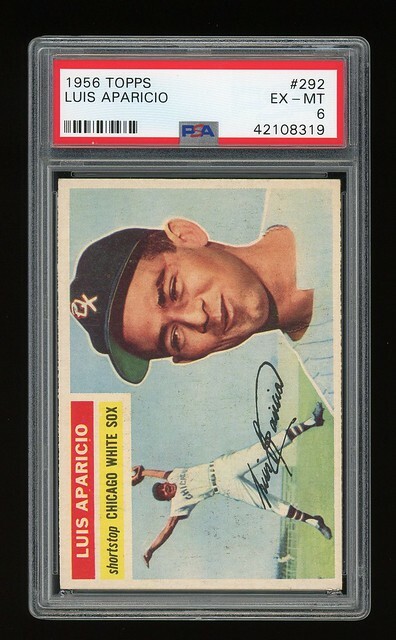 Great pick up on a razor sharp card! I can't understand why that card has an "OC" qualifier. Looks outstanding to me and CERTAINLY not "OC". Very nice! Love it. I never understood why they gave Fregosi that card but not Ryan. Me, too. Apparently it was all because Fregosi was in the first series, so he was 'wrongly' pictured as an Angel, but Ryan came in the later series and Topps was able to picture him on his new team. Superb looking card!! What made it a 3? My Lefty parade continues...they are pretty cheap. Thank you! Not quite sure why it's only a '3'. Has no creases or wrinkles. It does have a very faint roller mark towards the center of the card. Last edited by jbl79; 04-09-2019 at 08:02 PM. Thank you! Not quite sure why it's only a '3'. Has no creases or wrinkles. It does have a very faint roller mark towards the center of the card. Looks more like a '4' or '4.5'. The corners are slightly better on my '5' but the color on the '3' are a little bit bolder. Wow! Hats off to you. You did really good!! A couple more for my 52 collection. 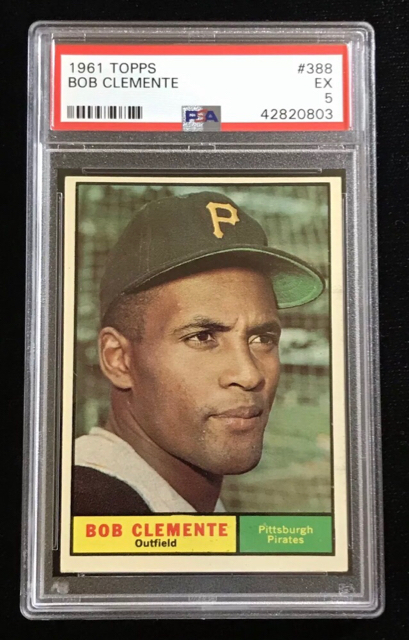 to add this baby to my Clemente collection! 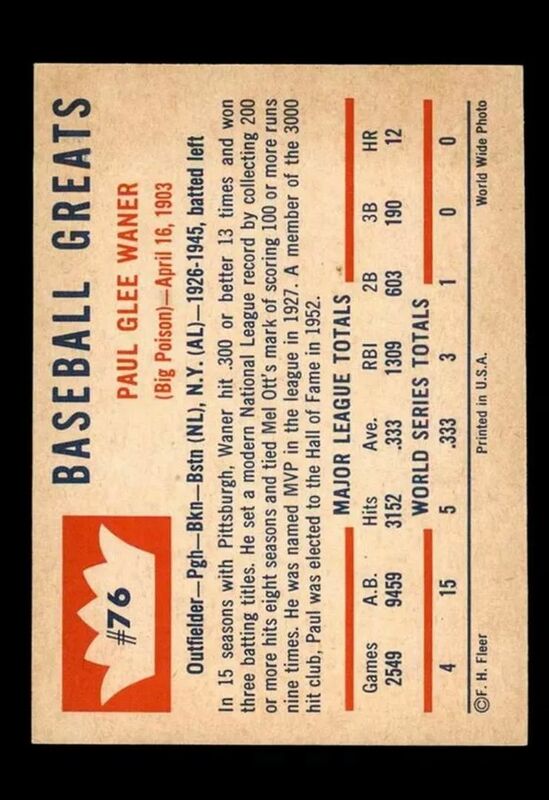 and have to have it added to the Clemente registry over at PSA! Incoming today. Thanks eBay bucks! 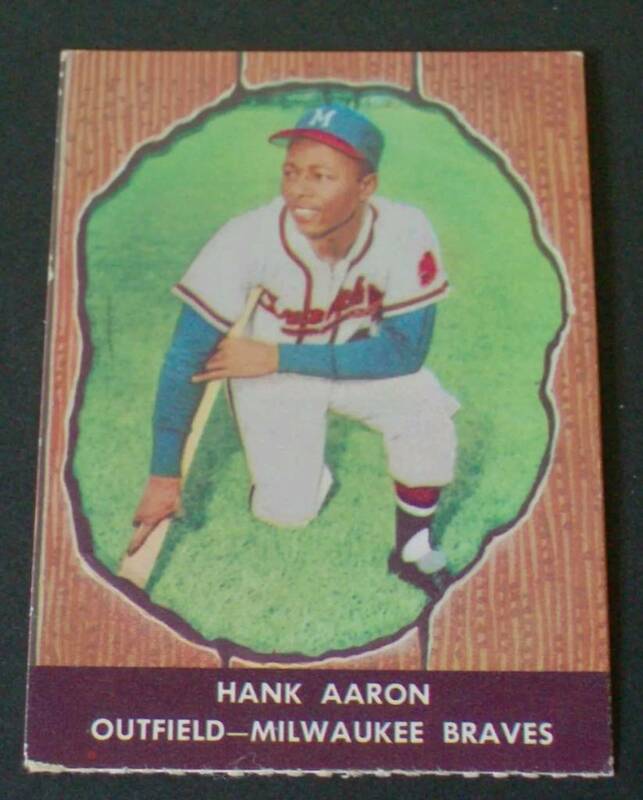 I will say it again - always have thought the ‘61s are under appreciated in comparison to ‘65 or ‘67 Topps. At least on the ones with caps - the portrait shots are generally pretty good. Technically not new pick ups, but case breaks/resubmissions. The Berra was previously graded a BVG 6 and got a PSA 5 while the Musial was previously graded a BVG 5.5 and received a PSA 5. All in all, pretty happy the PSA grades were very close to the BVG grades. P.S. These are from when I first began dumping my savings into buying cards and didn't understand what I was doing (hence the off-centering) and I was merely buying the grade, not the card! These cards are honestly a bit of an eye sore to me now due to the bad centering, despite how cool they are. That is a beautiful card this OC qualifier is a joke. Using that standard their own example of a PSA 9 should carry an OC qualifier. 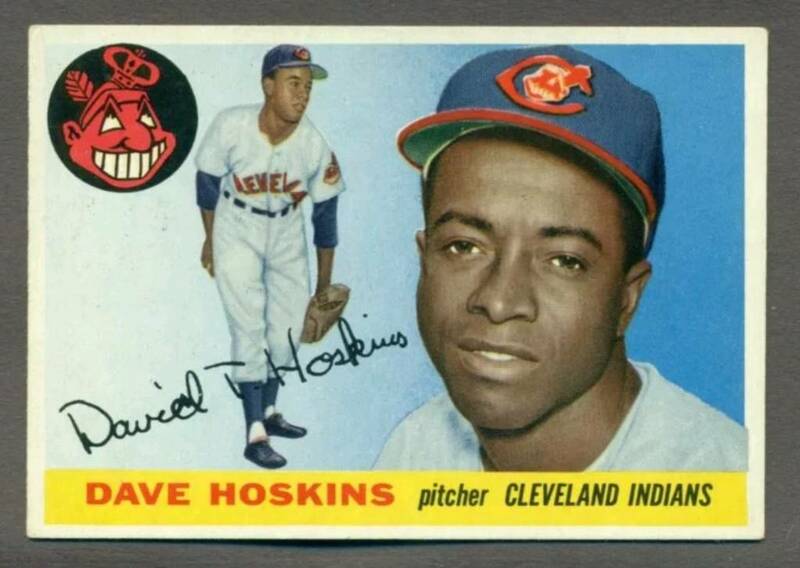 Completed my Dave Hoskins master set...all four cards of it...with this purchase. Hello! My first post; I just got back into collecting and have narrowed my focus to some vintage baseball, Basketball, football and hockey! 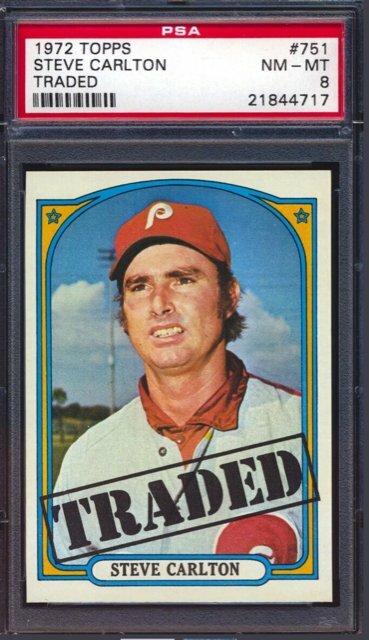 The set I’m looking to put together is 1970 BKB Tallboy, with my second focus being baseball! 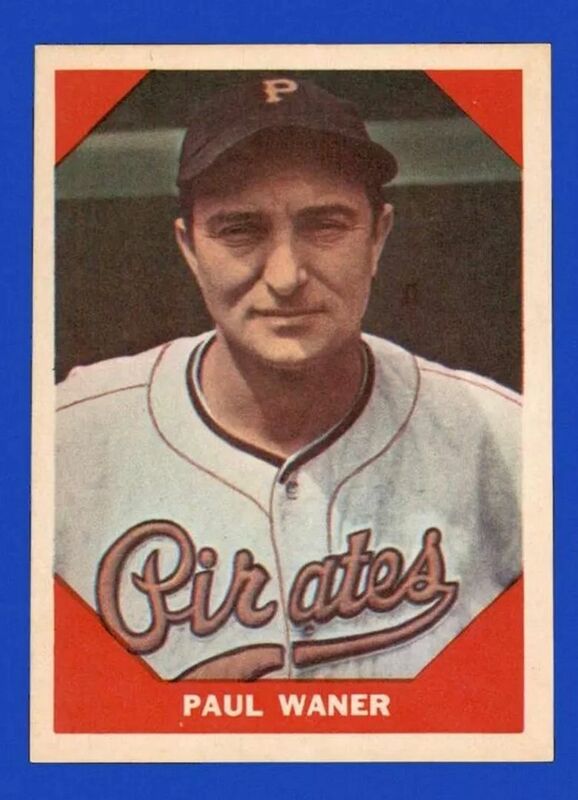 I've been doing a series called "Cardboard Cooperstown" on the blog where I choose the best looking card of every Hall of Famer. As you can imagine, it's hard to write about all these great cards without buying one or two. 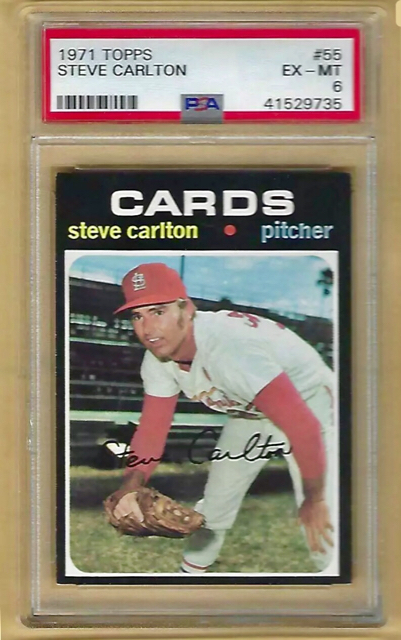 For my money this Campy card comes about as close to a perfect card as any. Finally pulled the trigger. I used my ebay bucks to pick up these two 6s for my set. Down to 19 to go. Last edited by clydepepper; 04-08-2019 at 07:16 PM. Last edited by mdube16; 04-08-2019 at 07:18 PM. "I've been doing some research over the past two years on these postcards. The photographer's name is Brook Treakle. He passed away in 1991, but he took a lot of photographs for the Peninsula Pilots in the Carolina League; in fact, his photographs were used for the two 1980 TCMA Peninsula Pilots sets with Julio Franco. ... Treakle's trademark is his immaculate hand-printing on the backs of the cards. When he passed away, his mother sold his collection. It was broken-down into three groups: photo postcards, negatives, and autographs. A lot of the autographed items have appeared on eBay. I found out the two collectors who purchased the negatives and the postcards. I don't know what quantities he produced the postcards in, but I have to believe it couldn't be more than a handful. He also took pictures of photographs in books and made postcards out of them, He referred to them as "photo negatives."" The card has Treakle's immaculate block printing on the back. Last edited by Exhibitman; 04-09-2019 at 01:01 AM. Those are 2 great looking cards that get you that much closer! Must be a great feeling. Great card. Much more appealing than Hank's Topps products, in my opinion. Kind of a tough number in that regional set, as well. Congrats. This Aaron had been on my want list forever. Had small pittance left over after taxes and was able to pull the trigger. Where are you finding these raw Mantles lol? Just about finished my slow upgrade of my 1956 Topps set. Thanks for the look!